On September 18th BUSH will give a special acoustic performance at VH1 Save The Music Foundation’s Noteworthy benefit concert at William Hill Estate Winery. The evening will feature an intimate performance in the vineyard to raise money and awareness for music education programs. 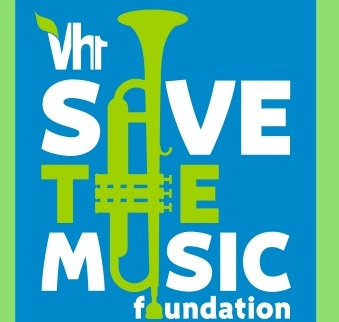 VH1 Save The Music Foundation is a non-profit organization that partners with America's public schools to bring the power of music back into the classroom, giving every child the same opportunity to be successful in school and in life. The Noteworthy event takes place at William Hill Estate Winery, a proud supporter of music and the arts and the official wine sponsor of the VH1 Save The Music Foundation. Additional sponsors for the evening include Avnet, RAYMOND WEIL and Alex and Ani, who together have raised nearly 1.2 million dollars in support of the Foundation’s work to ensure that music is a core and critical component to a complete education. Gift bags will once again be generously provided by Copper River Bag Company. For more information or to see how you can get involved, visit www.vh1savethemusic.org, www.facebook.com/vh1savethemusic or @vh1savethemusic #PassTheNote #WilliamHillWine.